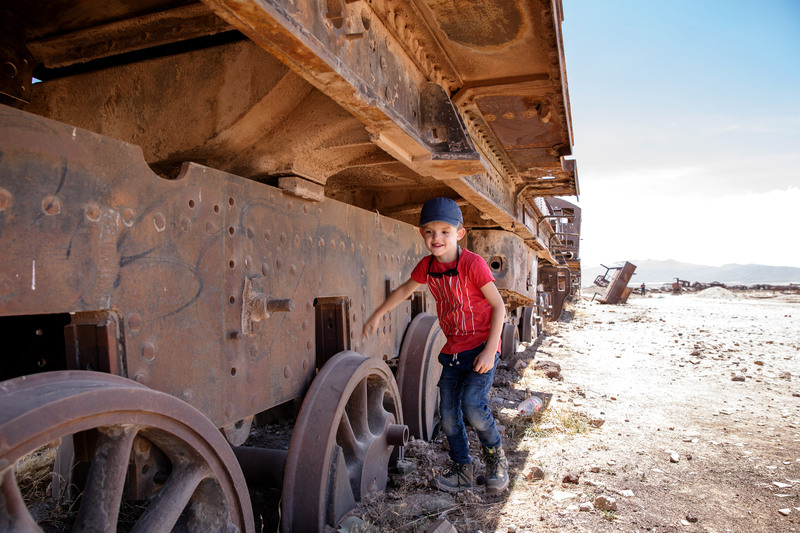 Train Cemetry - Global Happiness Family - Traveling family finding sustainable development goals around the world. Jurre is always looking for rusty old things. 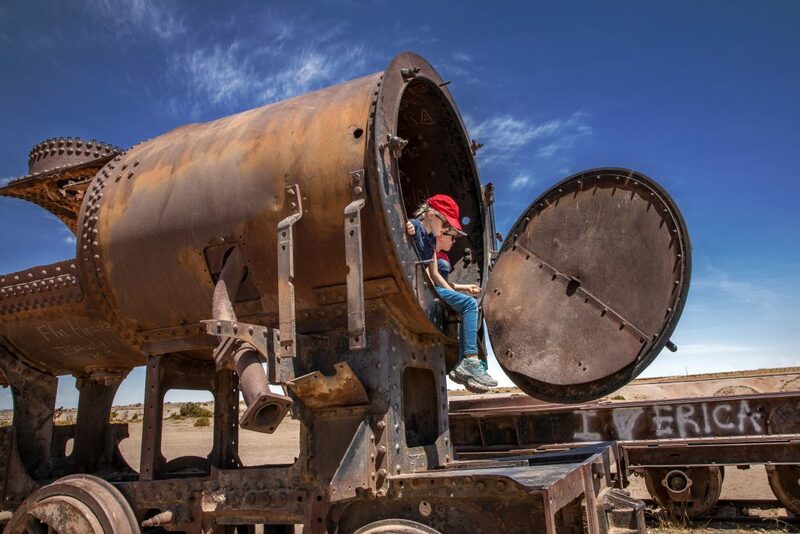 Now we found big steel giants that have been abandoned and destroyed by time, salt and weather. A beautiful cemetery for trains and locomotives. The trains were used for the transport of minerals from the Andes mountains to the Pacific Ocean ports. During the 1940’s the mining industry collapsed. 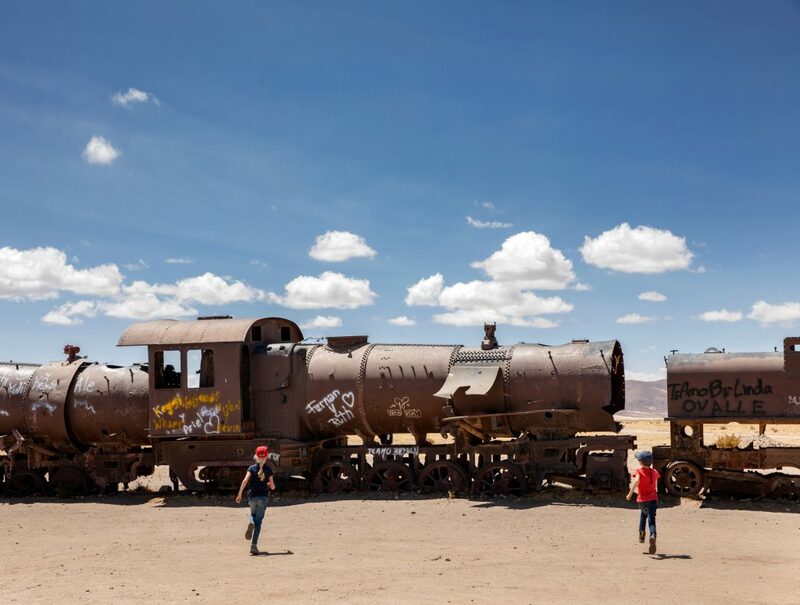 Many trains were abandoned outside Uyuni, forming this great train graveyard. 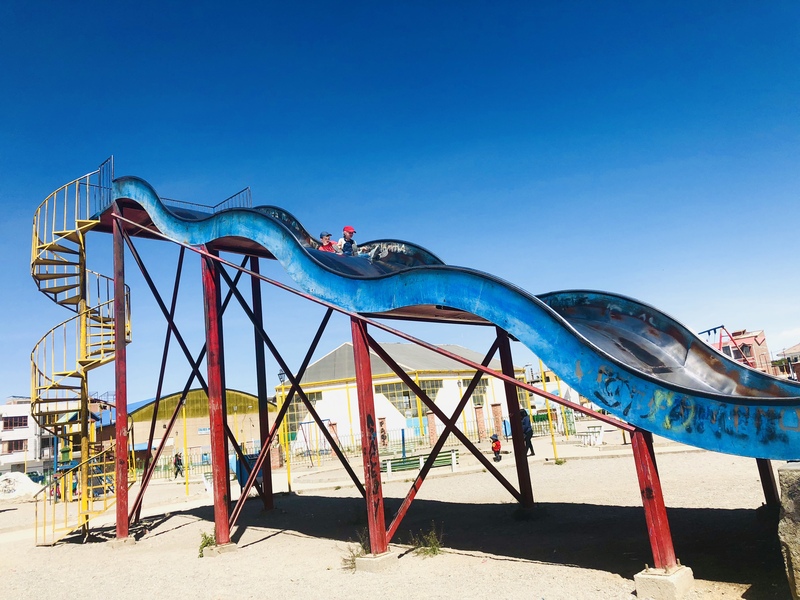 Many of them dating back to the 20th century, are now rusted and eroded by the salty winds blowing over Uyuni.